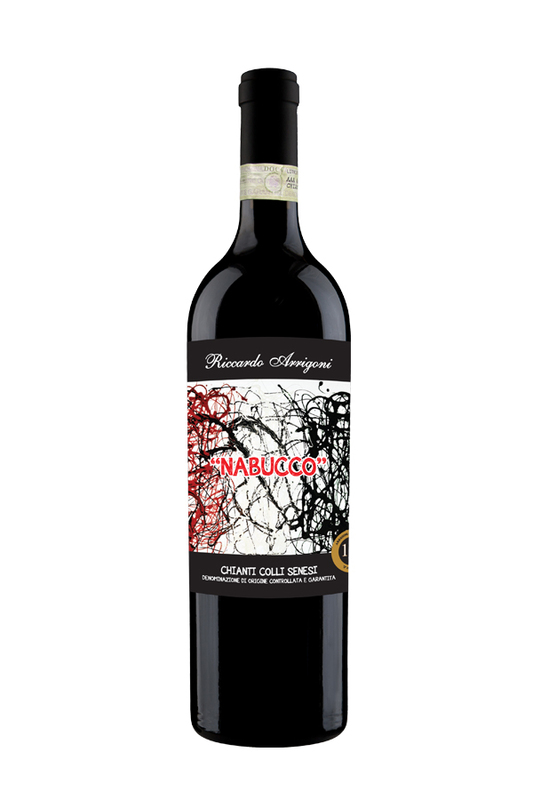 NABUCCO - CHIANTI COLLI SENSI D.O.C.G. In 500 BC, the ancient Etruscans were already cultivating grape vines in the Chianti region of Tuscany. "Chianti" is from the Latin word "clante", name of a local ancient forum of that era. The Colli Senesi area is undoubtedly amongst the best in the Chianti region and the wine produced there is of a very fine quality. In this contest, San Gimignano occupies a position of distinction because of its ideal soil and climate as well as its historical beauty. Here, which has been described by Zeffirelli as "one of the most beautiful portions of the area", stands amongst the vineyards, on a terrain that still today uncovers Pliocenic sea shells! The Chianti Colli Senesi is gained by adding a small percentage of Colorino and Canaiolo to the Sangiovese grapes. This wine is made with great care and it reflects the typical fine qualities of the region. Color & Bouquet: Ruby-red. Striking fragrance of raspberry and sweet-smelling violet. Meal suggestions: Great with grilled meat, roasts and Tuscan pecorino cheese.